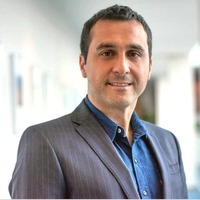 Biography: Berkay Celik is a PhD candidate in Computer Science and Engineering at the Pennsylvania State University, where he is advised by Professor Patrick McDaniel. Berkay has researched a variety of security topics, including machine learning systems, network security, and privacy enhancing technologies. His dissertation is in the area of Internet of Things (IoT), particularly the construction of systems that ensure safety, security, and privacy in IoT implementations through program analysis. He received his B.Sc in Computer Science from Naval Academy (Istanbul) and his M.S. in Computer Science and Engineering with a minor in Computational Science from Pennsylvania State University. He expects to earn his PhD in the Spring of 2019. Berkay has had several internships in industry, including at VMware and Vencore Labs.